- Burnt orange candle, scented with cinnamon, apple and orange blossoms. "Let peace and tranquility fill our loving home. May it be a safe haven from the troubles of the world, always surrounding us with love and warmth." 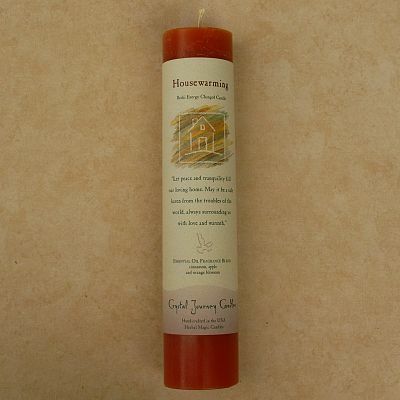 Do you have any other questions about our Reiki-Charged Housewarming Pillar Candle?